You can think of a Trust as a holding pen, a place where you put your assets before they are released to the people or organizations that will eventually receive them. The trust designates the managers of the assets (trustees), those who will eventually receive the assets (beneficiaries), and any special instructions as to how the beneficiaries should be receiving the assets. Avoiding Probate. Assets properly owned in a Trust avoid probate at death. If an estate is valued over one hundred thousand dollars, that estate will have to go through a court process called probate before heirs can collect the assets. This process can take up to a year, or even longer. If, however, during your life you set up a trust and place assets into it, those assets will pass to your heirs without court involvement. This transfer generally will happen quickly, efficiently, and will be cost effective. Setting Rules. If you want to ensure that your children do not use their entire inheritance before they even graduate college, you can set up rules in the trust. 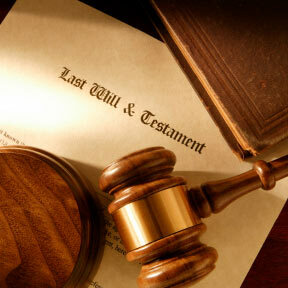 The trust allows you to state that your children should not receive their assets until a certain age. Often times, parents will have their child’s share of assets held until the child reaches the age of 25 (or another appropriate age). The child can still benefit from the assets by asking the trustee for money, however will not have complete control over the money/asset until the age you set in the trust. Avoiding Estate Taxes. For married couples that have estates worth over one million dollars, an appropriately drafted trust can save on taxes that the estate would have to pay. Certain estates can save millions of dollars just by having a properly drafted trust. Privacy. At this day and age, very little is private. But since a trust avoids court involvement, the trust and its contents are private and will not be known by anyone but those involved with the estate. As soon as a court is involved, the court filings become public information and can be read by anyone. If a court does not have to be involved, the details of your estate will remain private. While a trust can be very beneficial for many estates, it is not absolutely necessary in all cases. Depending on your assets and what you want to do them, you and your estate-planning attorney can decide the most appropriate plan.